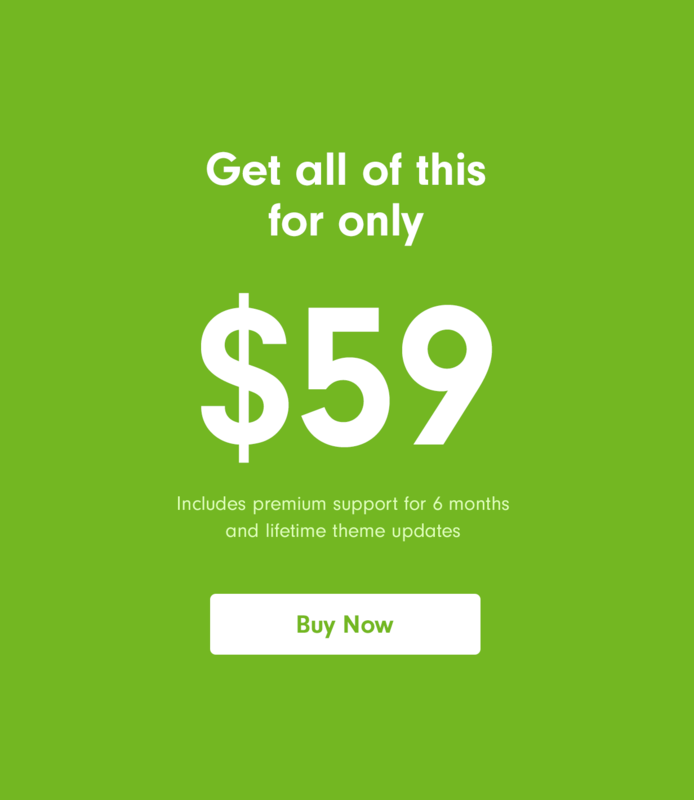 World class WooCommerce support. Start selling right away with WooCommerce integration. With over 10 million downloads WooCommerce powers 30% of online stores. It’s the fastest growing platform in the world and the perfect solution to start selling. 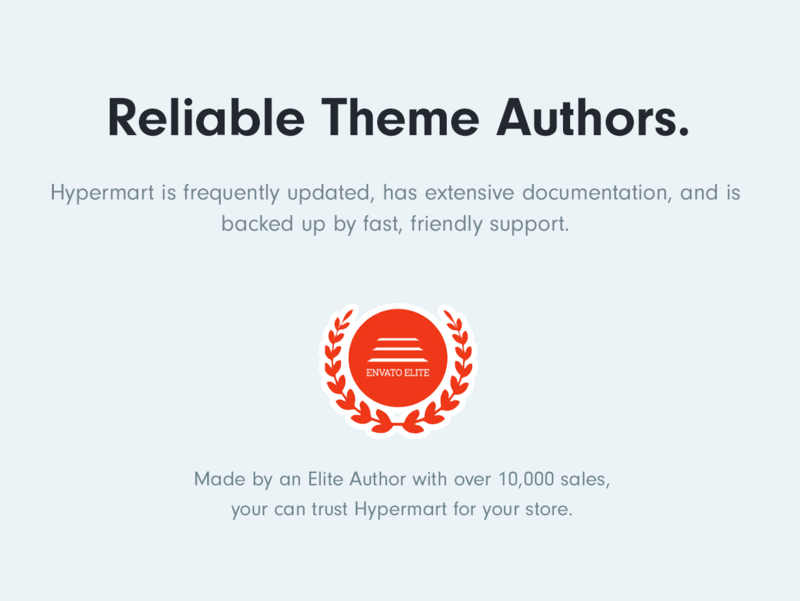 As WooCommerce experts we’ve taken great care to ensure Hypermart has better WooCommerce support than your average WooCommerce theme. 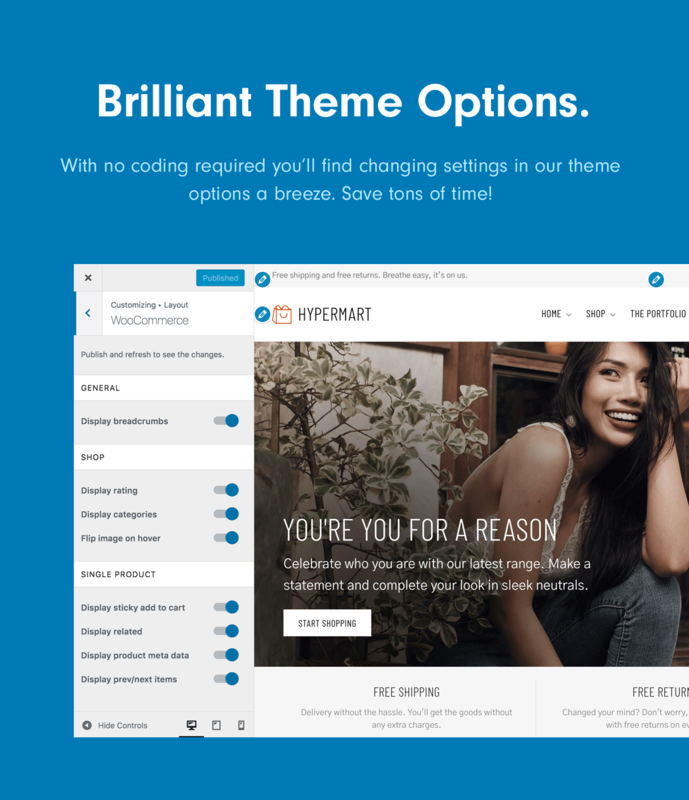 Hypermart Theme. Lightweight zip file makes it easy to install on just about any WordPress host (WordPress.com not included obviously!). 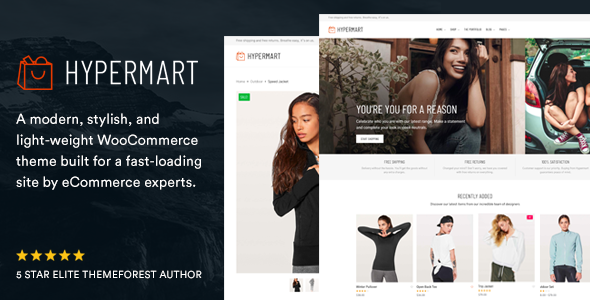 One Click Install Demo Data Get a turnkey website in seconds that closely matches the Hypermart Demo website. (Copyrighted images not included in the demo data – grey placeholders are used in place). Comprehensive Documentation and Video Tutorials. 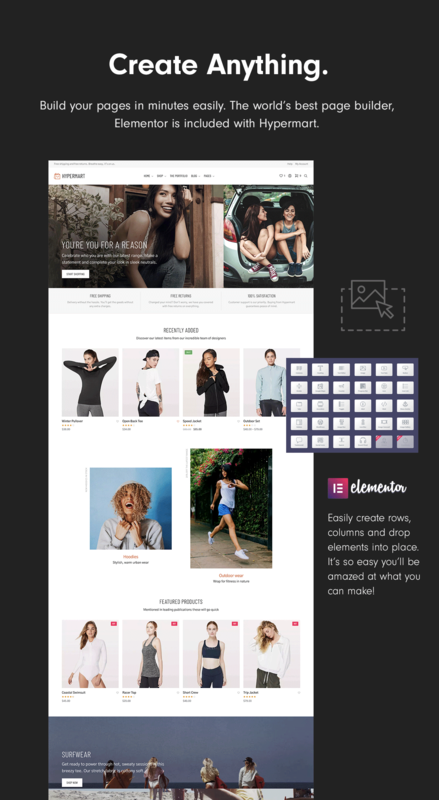 Our mission is to make creating eCommerce websites in WooCommerce as easy as possible. 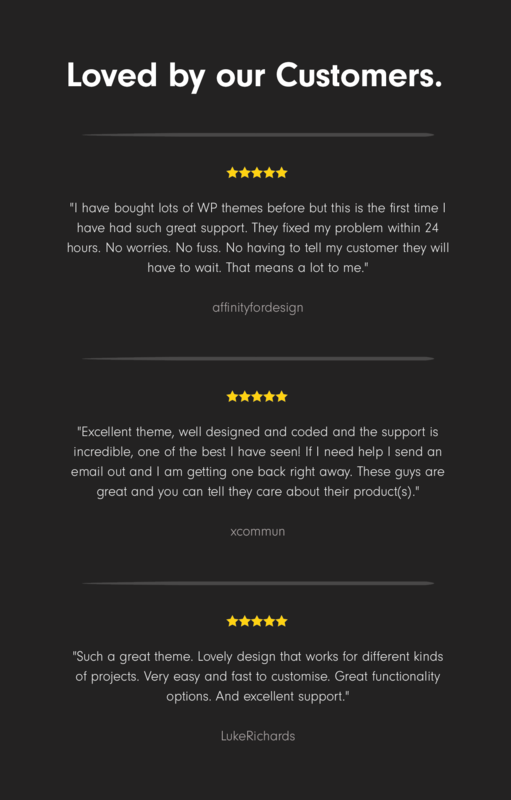 World class support We pride ourselves in providing the best WooCommerce Theme support in the business. Have questions before you purchase? Just message us and we’ll be happy to help. If you can’t find what you’re looking for you can send us a support ticket and we’ll reply ASAP!